So, we tried again a couple of days later and our luck was in. It was only a short wait till we were given a table. The menu was in Swedish and they did not have one in English. Again, we were lucky as my friend was on hand to translate. It seemed that some of the waitresses could speak English, so they would have been able to help us too. This particular evening, I was in an indecisive mood. I really couldn’t decide whether I wanted a rice dish or a noodle one. I was also considering a Pho dish (noodles in soup), that a couple of my friends were having. But there was no vegetarian Pho option. So that quickly ruled that idea out. 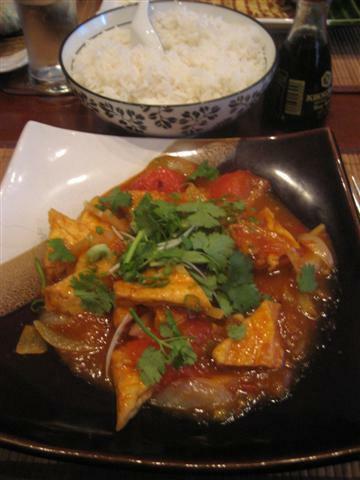 Finally, I decided to have the dish of tofu with stewed tomatoes and vegetables with rice. This was the first time that I was having Vietnamese food, so I wasn’t sure what sort of flavours to expect. The tofu dish was such a good choice. It had big pieces of fried tofu, good sized chunks of tomatoes, onions, spring onions and coriander. All of this was in a rich tomato sauce. Even though I thought that there would be additional different vegetables, the dish worked well as it was. There was a slight spicy heat to the dish but then this was balanced by some sweetness coming through in the sauce. The fried tofu was not rubbery; it was just right. 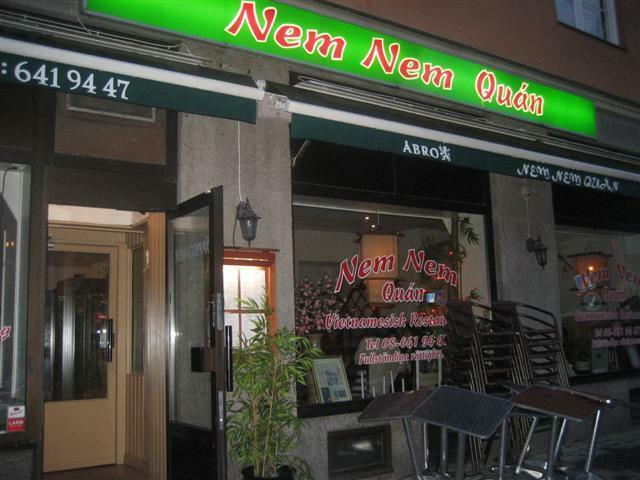 Nem Nem Quan had a decor of dark wooden furniture, bamboo placements, beige walls with nice artwork and lots of plants. 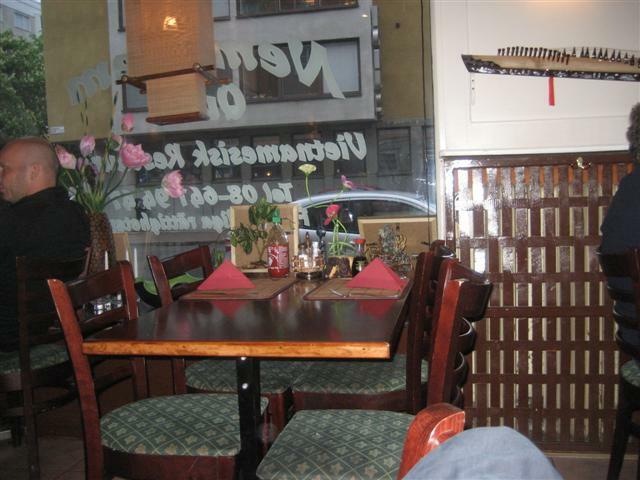 The staff were friendly and the service was good. Dining at Nem Nem Quan has made me want to try other Vietnamese restaurants.